- How to use our Online Shopping Cart? We manufacture Valiant Bonnet Louvers which fit beneath the windscreen. 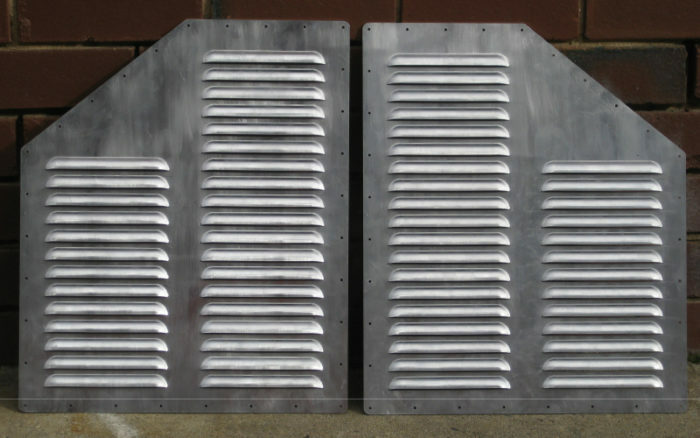 We can supply Valiant Bonnet louvers in Steel or Aluminium depending on customer request. 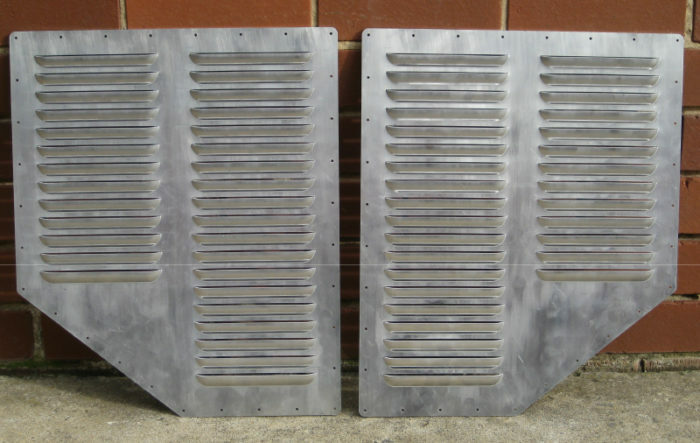 While the photo shows our Valiant Louvers with two rows of 150mm wide individual louvers, all new valiant louvers will have 3 additional louvers to fill the gap in the angular part, so you will receive an additional 120mm, 90mm and a 60mm louver to producte an angular effect to fill this gap. Overall Individual Panel Size = 480mm x 400mm. Louver Size = 150mm wide louvers (plus additional 120, 90 and 60- not shown here). Louver Material = 1mm Steel or 1.6mm Alum (so very strong and not flimsy). Louver Style = Squarish with an angular corner cutout. Louver Weight per pair = 1.6 kg approx. (Shipping dimensions and weights = 51cm x 42cm x 5cm approx. Wgt = 2.5kg approx).